There were 2,035 posts last week that fit this criteria. An unscientific review of these posts indicated a significant majority, roughly 8 or 9 out of 10 were simply “test” posts. A test post can be considered to be as follows: (a) user received invite, (b) user wanted to see how it worked, and (c) they tried the tool mentioning LinkedIn in the post but added nothing else of value beyond that test. For the other 10 or 20%, here are 12 posts that caught our attention in no particular order. 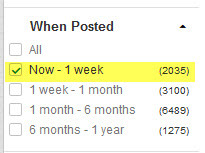 Quick Facts: The user views for these posts ranged from just under a hundred to almost four thousand, while the topics touched on major trending (and minor ones) as they related to LinkedIn. In short, this past week provided an interesting cross section. Take a look below and let us know what you think. As we revisit this over time, it will be interesting to see how the LinkedIn content evolves as this platform evolves. Provides a fresh perspective on how LinkedIn is adopting many of the “social” qualities found on Facebook including: activity feed, quotes, humor, and puzzles. LinkedIn is not social media! If you are a sophisticated enough user of social media, you understand that “one size does not fit all.” This post digs into this by touching on what LinkedIn and isn’t. Key Takeaway – The author calls his post a rant but It comes across as a passionate post of how you should consider effectively using LinkedIn. A new feature that LinkedIn is rolling out is providing premium users to personalize their profiles with a banner photo similar to what is available on other social media platforms like Facebook and Twitter. Do you know what you want yours to look like? This post is targeted to those that may “misuse” LinkedIn. You can probably already start picturing the types – self-promoting, always trying to sell, not taking the time to build relationships. You get the picture. 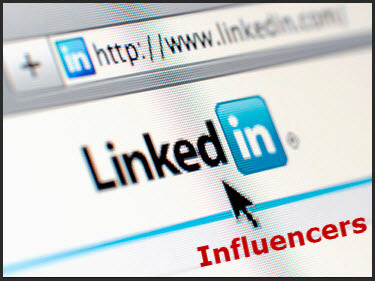 Key Takeaway – This post shares 6 guidelines to help you more effectively use LinkedIn. This post goes a step further… you now find yourself in LinkedIn jail… what can you do to get out? The author helps point you in the direction to get your account unrestricted and then reviews what the problem may be. We live in a social world in which communication occurs “at a glance.” This post helps you strategize how to present elements of your LinkedIn profile in a bulleted form. Key Takeaway – Need to express your “value” quickly on LinkedIn? Consider using bullets. One of the biggest untapped gems in LinkedIn is the company page. Unfortunately, attracting viewers can be a challenge. The author shares a couple of insights in terms of helping you increase visibility to your company page. Key Takeaway – It says it all in the title. Tips to consider when trying to grow visibility to your LinkedIn page. 5 Types of Job Posting on LinkedIn! LinkedIn clearly has a significant impact on the way people current find talent. In this article, the author shares tips on 5 different ways you could post a position for a new employee. Key Takeaway – Reading these tips could potentially help you find the perfect hire for your business! The Great LinkedIn SEO SCAM! Interesting title in the sense that is literally screams at you. The author focuses the post around a video and highlights of what you can do to help your SEO on LinkedIn. Key Takeaway - Topic wise, this is currently a very popular topic. Why? With over 300 million users on LinkedIn, everyone is trying to figure out how to increase the ability to be found. The activity feed is back! Or… did you never realize it was gone? Short post, but one that gained the most views in our weekly review. That’s it for this week’s review. Did you spot an interesting article on LinkedIn that was posted in the LinkedIn publishing platform? If so, please let us know by posting below. Interested in more tips? You can download out free 30+ page LinkedIn workbook filled with actionable tips for you.